Pelham is known to be one of the fastest growing cities in the state of Alabama. Located in the scenic foothills of Oak Mountain State Park, Pelham was named after a courageous officer who served in the American Civil War, John Pelham. At just 20 miles south of bustling Birmingham, Pelham is perfectly placed for visitors to explore verdant wine trails, museums, state parks and family-friendly attractions. Established in 1927, this 9,940-acre state park is ripe for exploration. 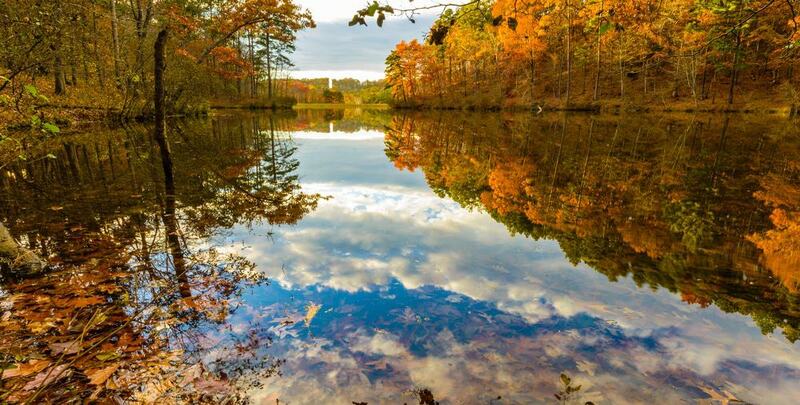 The largest state park in Alabama, Oak Mountain boasts a whole host of amenities ranging from hiking and horseback riding to fishing, golf and mountain biking. Offering 25 miles of hiking trails, you can opt for a short stroll through verdant forests or enjoy a full days’ foothill trail which is 8 miles long one way. If you prefer to indulge in more relaxing pastimes, the park lake is flanked by two beaches, one of which is open to the public on Terrace Drive. It’s a great place for sun worshipping, a cooling swim, or a picnic with friends. 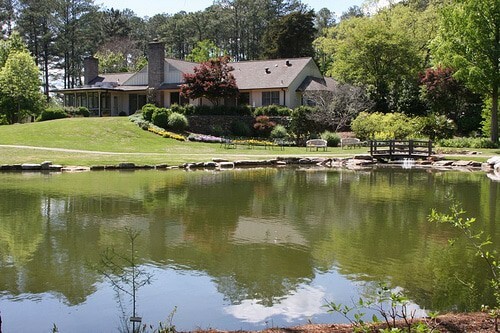 With incredible scenery, nature rehabilitation centres, water sports and boat rentals, Oak Mountain State Park is a great place to spend some downtime during your stay in Pelham. 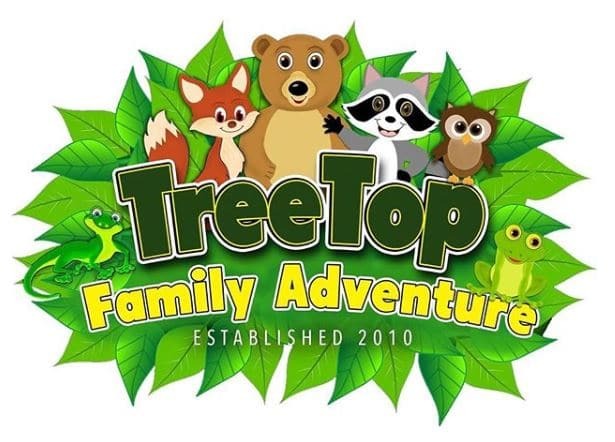 Treetop Family Adventure caters to adults and children seeking fun things to do on cloudy days. You can race against friends on a non-stop go-kart track, challenge a team at laser tag, play a round of mini golf, or even go bowling! Children are well catered for with video arcade games, an indoor playground and an obstacle course, and group rates are available if you wish to hold a birthday party or celebration here. 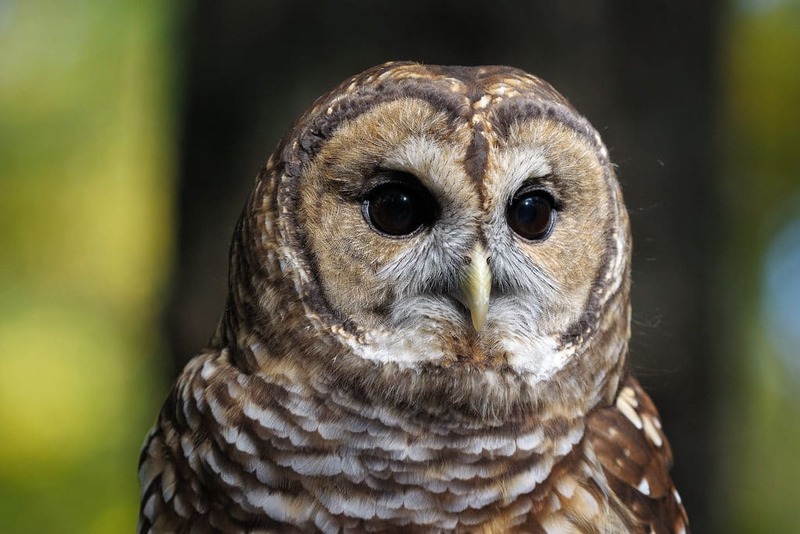 Located inside Oak Mountain State Park, the Alabama Wildlife Centre rehabilitates and treats over 100 different species of orphaned native birds. Visitors can observe and learn about the birds with live talks and exhibitions and stay to watch feeding time with the raptors. Nearby Treetop Nature Trail offers a spectacular viewing point where visitors can see healthy birds released back into the wilderness. Within the surrounding park, you can walk, cycle, fish, camp by the lake and be at one with nature. In a landlocked Alabama city, the last thing you expect to be able to do is scuba dive, but at Blue Water Park you can. 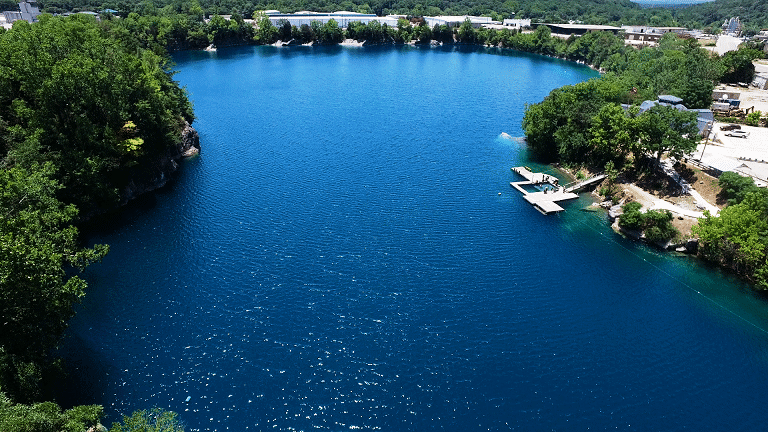 This 27-acre quarry oasis in the heart of Pelham offers a fun scuba diving destination for divers of all levels of expertise. The parks goal is to teach and train scuba divers without them having to head for the sea. In addition, Blue Water Park offers kayaking and paddle boarding and even on-board yoga if you fancy a break from being below the surface. 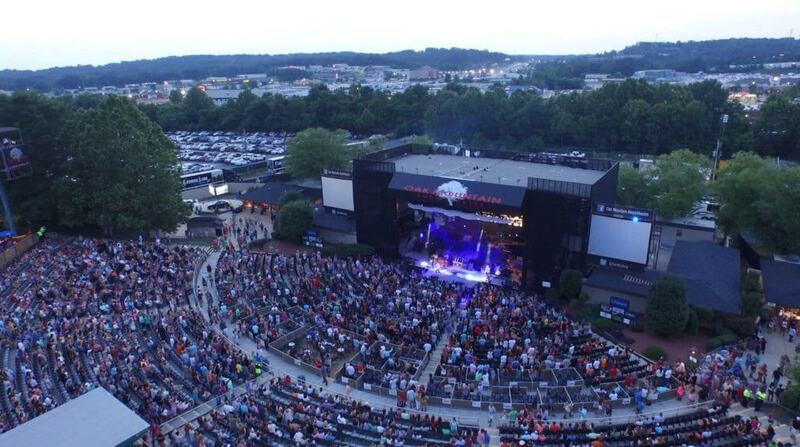 Oak Mountain Amphitheatre inside the state park has hosted some of the biggest names in the music world. Located in Pelham, it’s the largest outdoor music venue in Alabama. With three tiers of seating, and set in a scenic forested environment, the amphitheatre has hosted live music concerts from talented greats such as John Mayer, Willie Nelson, Allison Krauss, Counting Crows and Lynyrd Skynyrd. 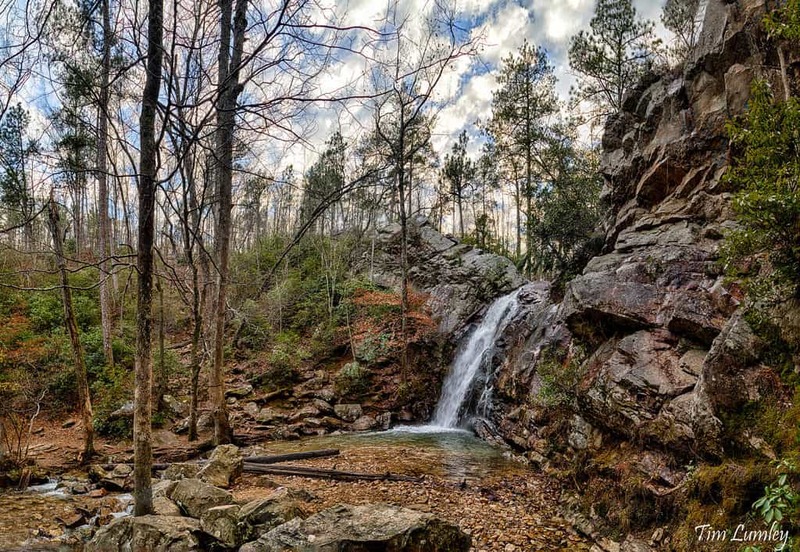 As with many of the natural attractions in Pelham, Peavine Falls is located inside Oak Mountain State Park. There’s much to do inside the park itself, you can camp out under the stars, mountain bike along trails, or bring a picnic and hike the 1.5 miles to Peavine Falls. The foaming falls cascade over a cliffside and plunge 60 feet into a pool below. It’s an incredible place for photographers, with stunning viewpoints, great walks, rock formations, and an abundance of flora and fauna. 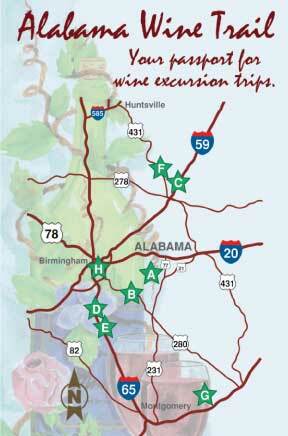 If you enjoy sampling regional wines during your travels, visit the Alabama Wine Trail. Alabama Wine Country begins in Shelby County south of Birmingham and loops around visiting four or five wineries in the region. The closest winery to Pelham is Corbin Farms Winery just 9 miles away. Set on 5 lush acres of farmland, this is one of the states oldest wineries, producing a vast array of white, red and fruit wines. Visitors can sample local wines in the charming bistro, take a tour of verdant vineyards then stop to purchase favourite wines from the gift store. The wineries ‘2018 Southern Blend’, made with Muscadine grapes and notes of blackberry and raspberry is a reasonably priced option, or if you seek a delicious full-bodied red – ‘Tuxedo Junction’, the vineyards most popular wine, is blended with caramel, chocolate and raspberries! Hoover Metropolitan Complex is a baseball, American football, soccer and concert stadium. With a capacity of over 10,000 people, the park is located 15 miles northwest of Pelham in Downtown Hoover. If you enjoy sports and want to find a way to bond with locals, take in a stadium game during your trip and cheer on the home team. 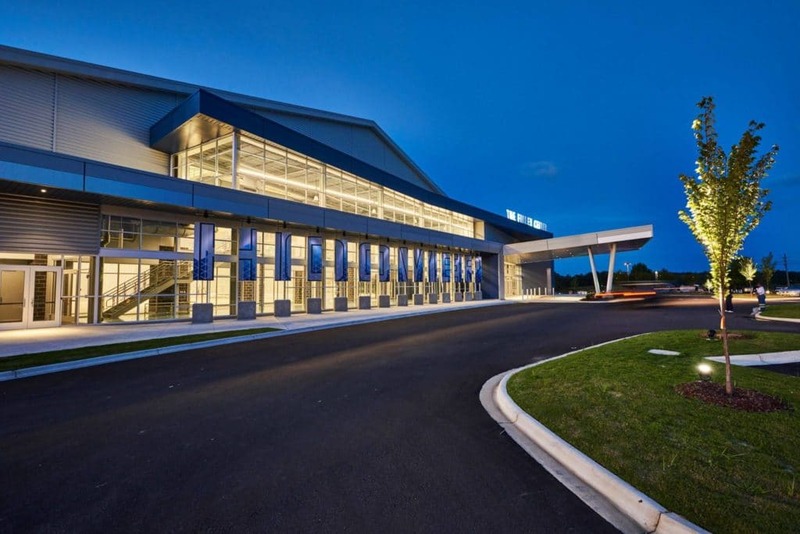 The sports stadium is only a 10-minute drive from Riverchase Galleria shopping mall too, so you can keep everyone happy by indulging in some retail therapy, followed by a fun sports game in the same day. Known as one of the most affordable public golf courses and listed as one of the ‘Top 50 Courses for Women’, Ballantrae Golf Course caters to all levels of golfing expertise. This fun, 18-hole golf course was designed by renowned architect Bob Cupp, and traverses through a beautiful valley with emerald woodlands and spectacular vistas. The layout of the course is pleasing, with well-designed par-3’s, 4’s and 5’s to challenge both beginners and intermediate golfers. 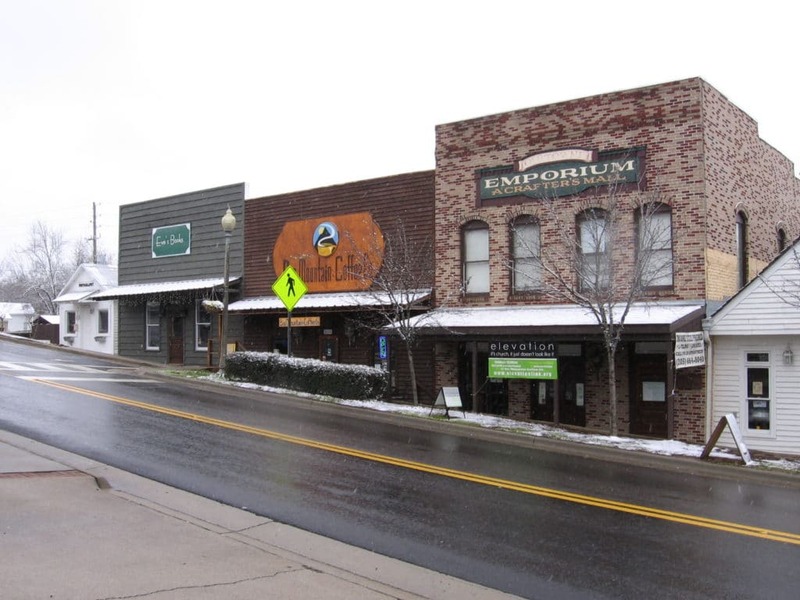 Founded in 1877, this charming city on the banks of Buck Creek was named after the wife of a railroad worker. Today, the city is up and coming with a selection of new restaurants, speciality gift shops and open-air food markets, making it a great place for some retail therapy or an evening meal. There’s an outdoor amphitheatre to showcase local bands and concerts, and Kenneth R. Penhale City of Helena Museum displays a number of artefacts and exhibits which tell the history of the city. One of the most popular restaurants in the area, Depot Deli and Grill serves up a choice of Southern favourites. 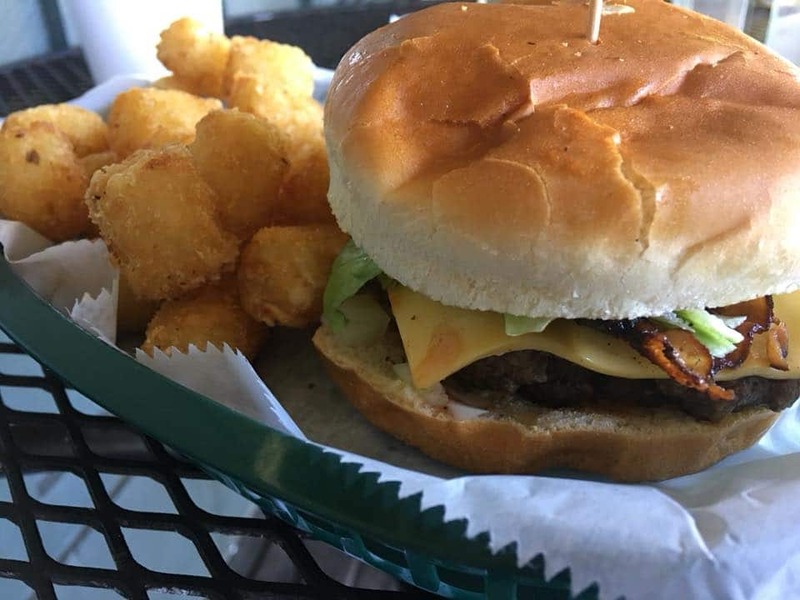 Whether you have a taste for succulent burgers and crispy fries, a slaw dog, or mouth-watering cheesesteak and tater tots you can find them all here. This laid-back, family-friendly diner set in an old railroad depot close to Pelham boasts a covered outdoor terrace and varied menu which caters to all palates. Lake Purdy provides some of the drinking water for the Birmingham, Alabama area. The tranquil lake is a relaxing spot, surrounded by lush hillsides, forests and hiking trails. You can hire a boat or pontoon and venture onto the lake with a picnic or take your fishing gear and try to catch largemouth bass, spotted bass or crappie. The boats are reasonably priced to rent, and it’s a fun day out for all the family. If you enjoy sampling craft beers during your travels, hang out at The Beer Hog in Pelham. With over 300 craft bottled beers on the shelf, 65 beers on tap, and a whole host of regional Alabama wines, there’s a drink to suit all tastes. The quaint wooden bar building has an outdoor patio, 50-inch TV’s which showcase sports, and live music events guaranteed to get your feet tapping. The bar may not serve food, but they do allow you to order in from nearby restaurants or bring in your own snacks. If your aim is to mingle with locals and enjoy tasty craft beers in the heart of Pelham, The Beer Hog is the place to be. 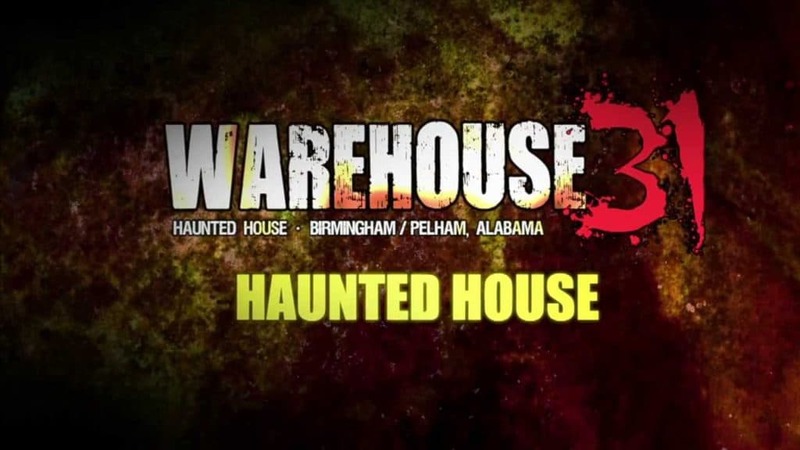 For the spookiest experience in Pelham visit haunted Warehouse31. Visitors to this attraction can wind their way through 30,000 square feet of terrifying exhibits and freaky horrors. One of the newest attractions in Warehouse31 is called Rigamortis. Not for the faint hearted or claustrophobic, as the doors close you are locked in and the terror begins! Alternatively, the realistic 3D experience is packed with a tunnel of doom, blood-thirsty creatures and mind-boggling puzzles for you to solve. Bring some friends, your sense of humour and expose yourself to one of Alabama’s most terrifying attractions. Aldridge Gardens situated between Pelham and Hoover opened back in 2002. The 30-acre picturesque gardens were once part of a former property owned by Eddie Aldridge, a renowned horticulturist, and it’s one of the most popular attractions in the local area. Visitors can wander amongst outdoor pavilions, relax and meditate by the six-acre lake, or hike woodland walking trails. The manicured gardens display a kaleidoscope of colourful flowers including the official flower of the city – the Snowflake Hydrangea. If you time your visit right, Aldridge Gardens also showcases art exhibits, lakeside fishing days and bird-watching walks for all to enjoy.